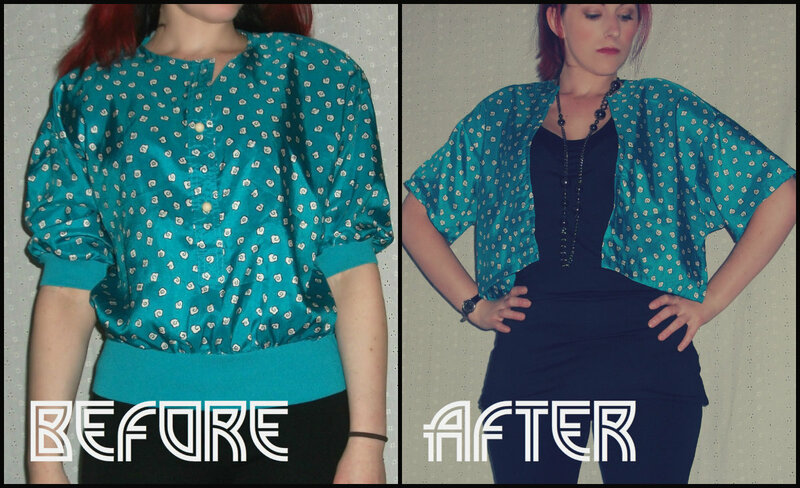 It was surprisingly easy to make it into this bolero, or what I call a "little jacket." For more, here's the full post on my blog, Craft, Thrift, or Die! Did the tag on this top say "Castleberry"? Because I have a very similar Castleberry top in my stash that's bright pink with little elephants, and I haven't been able to decide what to do with it. I may steal your idea. I looks so cute! Great refashion! I would never wear the original unless it was Halloween, but great idea of turning it into a little jacket. Elizabeth, I think the label said "Josephine." I look forward to seeing the pink elephant jacket!